I was excited about seeing Lincoln because he's always been my favorite president. There is something about the mystery of the things we do not know about him coupled with the amazing task he undertook that has always intrigued me. Couple that with the fact that Daniel Day-Lewis won the Oscar for Best Actor and I was getting even more excited. For those who don't know the premise, the movie is a very small snapshot of Lincoln's life (and his presidency for that matter). The entire movie takes place over a matter of a couple of months while Lincoln is trying to get the 13th Amendment passed (the amendment that outlawed slavery). While it definitely takes some concentration to follow everything that is going on, it's not too far over most people's heads. Sometimes following an older pattern of speaking and politics (especially of history) can take a little more effort, but this was easy enough. 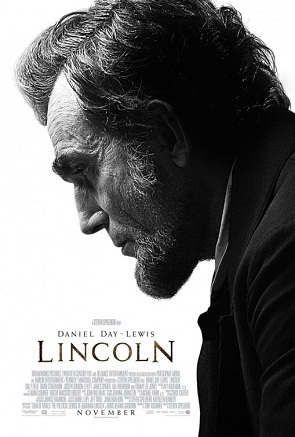 From what I read there are historical inaccuracies, but one historian reviewer said that what he finds important is if people see the movie and then want to know more about Lincoln and I definitely think it serves that purpose. The opening scene does contain a lot of violence, but violence that really happened. I can see it being a good film to include in high school history curriculum because the objectionable parts are mostly historical truths and things I think high school children could handle. A younger child may also be able to learn from the movie if you're fine with them seeing the violence, though the beginning could easily be skipped. The only reason I would really hesitate to recommend it is that I don't think they would be able to follow the intricacies of the politics to really benefit. This is a movie I have been wanting to see! Thanks for sharing your perspective. I wondered whether I needed to know a lot of the history to appreciate it, but it sounds like I could follow it fairly easily. Yes, I think most people with above-average interest and knowledge in history will be fine. But as Patty mentions below, a second viewing could be helpful for some. I think it depends on how important it is to you the viewer to understand every detail. The story can be enjoyed without total comprehension of every detail, in my opinion. We actually saw this twice...the first time it was hard to follow the plot line and words between characters...we saw it second time with my folks for my Dad's birthday, and got more out of it when we had a better understanding of the what was going on. Thanks for your thoughts, Patty! I agree that a second viewing could be helpful, but I don't think it's essential for me. I'm ok with missing some details.